"THE CINEMATIC BIRTH OF THE COOL!" 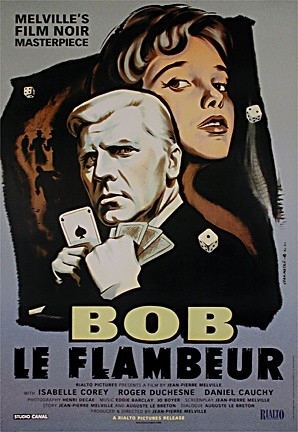 Silverhaired ex-gangster Bob Montagnè (Roger Duchesne) moves from poker to craps to the track and back before one last heist. "FAR AHEAD OF ITS TIME! MELVILLE BROUGHT EMOTIONAL DEPTH AND STYLISTIC POLISH TO THE GANGSTER GENRE."